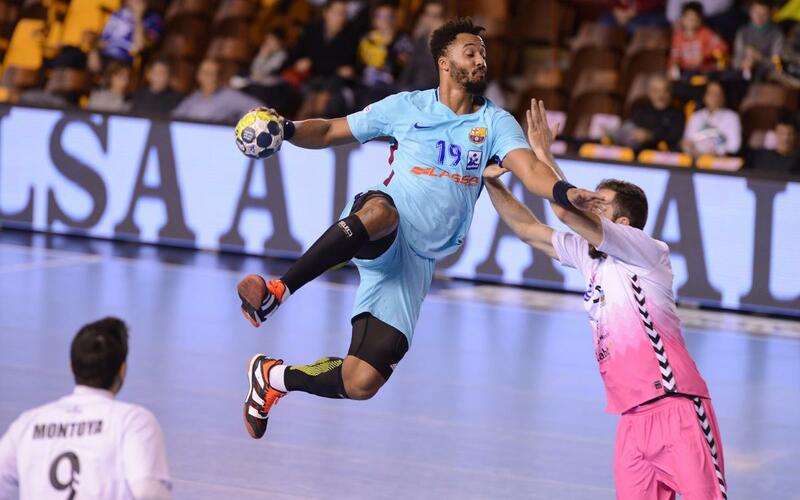 Barça Lassa are in the final of the Copa Asobal in León after comfortably beating Quabit Guadalajara 36-22. A great first half, with superb performances from Perez de Vargas, N’Guessan and Victor Tomás, set Barça Lassa well on their way to victory. In the second half, the blaugranas consolidated their lead. In the first half, Xavi Pascual’s team imposed themselves on Guadalajara as they tore through them. The match started out with little to choose between the two, both sides were enjoying themselves but Barça were more clinical in front of goal. Pérez de Vargas, who played excelently in goal during the match, helped limit the opposition's scoring. Barça Lassa, with an unstoppable N’Guessan adding six goals and Victor Tomás performing excellently, took the game away from the away side. The blaugranas went into the break with a sizeable 11-goal lead (21-10). In the second half, Entrerríos and Ariño came to the fore and they scored freely. In Guadalajara’s goal, Eceolaza starred as he limited Barça’s scoring. The tempo of the game decreased as Pascual’s players eased to victory. This win means Xavi Pascual’s side are into the final of the Copa Asobal, to be played tomorrow at 4.45pm CET in Léon against the winner of the match between Ademar de Lleó and Anaitasuna.